WASHINGTON — The Human Rights Campaign (HRC), the nation’s largest lesbian, gay, bisexual, transgender, and queer (LGBTQ) civil rights organization, announced that Congresswoman Maxine Waters (D-CA) will speak, and the Grammy Award-winning rock band Portugal. The Man will perform at the 2018 HRC Los Angeles Dinner. 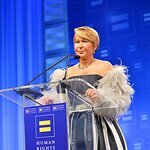 Set to take place on Saturday, March 10, 2018, at the JW Marriott L.A. LIVE, the event brings together more than 1,000 of HRC’s most active members and supporters in the greater Los Angeles area to raise crucial funds in the fight for LGBTQ equality. Congresswoman Waters is considered by many to be one of the most powerful women in American politics today. She has gained a reputation as a fearless and outspoken advocate for women, children, people of color, and the poor. 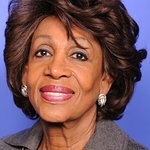 Elected in November 2016 to her fourteenth term in the U.S. House of Representatives with more than 76 percent of the vote in the 43rd Congressional District of California, Congresswoman Waters represents a large part of South Central Los Angeles, including the communities of Westchester, Playa Del Rey, Watts, and the unincorporated areas of Los Angeles County comprised of Lennox, West Athens, West Carson, Harbor Gateway, and El Camino Village. The 43rd District also includes the diverse cities of Gardena, Hawthorne, Inglewood, Lawndale, Lomita, and Torrance. Congresswoman Waters serves as Ranking Member of the powerful House Financial Services Committee.